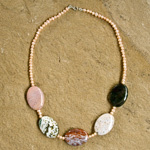 Earth meets the sea in this necklace by jewelry artisan Oiluwadee. 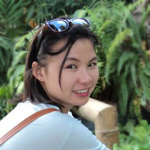 She threads the elegant design with cultured pearls and multicolored jaspers. The lobster claw clasp is made from sterling silver. 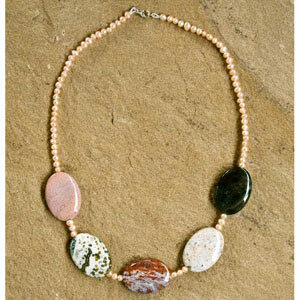 Materials: Jasper, cultured freshwater pearl and sterling silver (.925).